Rosanne Cash at a performance at Penn State. Probably no other region of the country has been sung about as much as the South. Results, as they say, have varied. Some songs, and songwriters, stand out however. Rosanne Cash is a good example. Her 2014 album The River and the Thread traces the veins of the Southern experience through its many sounds and through the imagined voices of its people. It casts an image of beauty and of pain. The suffering at the root of the Southern experience was just one thing Cash talked about in an interview with Chris Nylund of the Field Note Stenographers. Just how long it’s been that way she won’t venture to guess. “That's a really good question for poets and historians,” she said. And songwriters, too as it turns out. Cash has been at the forefront of the American singer songwriter scene for decades. But that’s not the only way she sees herself. “Ask me to define myself it would be a wife mother songwriter,” she said. Even so, In the same year River and the Thread netted three Grammys, Cash was inducted into the Songwriter Hall of Fame, something she says she only dreamed of as an 18 year old songwriter. “And the fact that my dad and I are the only father daughter in the hall of fame you know makes it extra special,” she said. Part of what makes the river and the thread so compelling is the lush production by Cash’s husband John Leventhal. A number of American styles and instruments dot the songs. Each hark back to some other piece of the Southern musical tradition. Leventhal and Cash are touring together too. So how do they work so intensely and manage to raise a child too? So the portrait of the South in the River in the Thread is their’s together. Cash says she doesn’t want that portrait to be an invitation to pass judgment on the South. 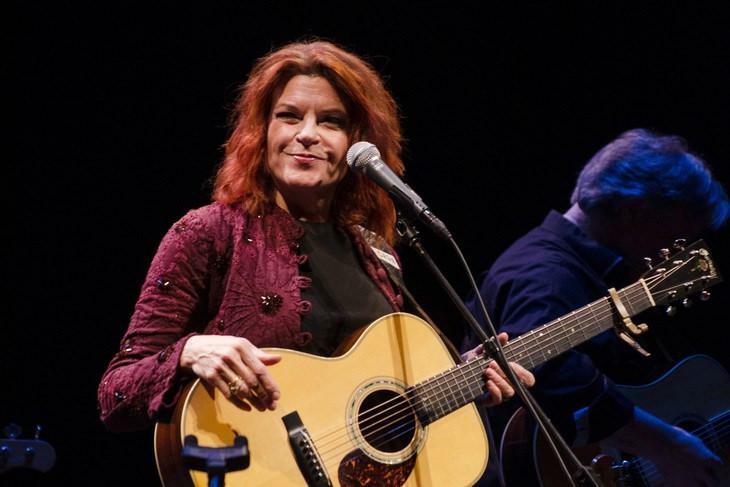 Listeners can take in Rosanne Cash, John Leventhal and the River and the Thread Thursday April 14 at the Grand Opera House in Macon and two days later at the Hodgson Concert Hall in Athens.